Masked by innocuous language like “pro-choice” and “reproductive care,” and protected by a media conspiracy of silence, the grim reality of abortion rarely surfaces in our cultural awareness, as it did with the recent undercover videos exposing Planned Parenthood’s moral vacuum. 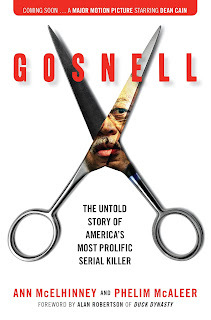 But a new book about the chilling crimes of Dr. Kermit Gosnell, America’s most prolific serial killer, highlights that ugly reality in an even more horrifying but compelling fashion. Part true-crime investigation, part social commentary, part courtroom drama, and part journey into the banality of evil, Gosnell: The Untold Story of America’s Most Prolific Serial Killer was written by investigative journalists and filmmakers Ann McElhinney and Phelim McAleer, well-known for their controversial documentaries FrackNation and Not Evil Just Wrong, as well as a play called Ferguson drawn entirely from testimony about the shooting of Michael Brown by officer Darren Wilson. The husband-and-wife team have also miraculously crowdfunded a feature film based on the Gosnell story (it raised more money than any film project in Indiegogo history), directed by conservative actor and Twitter gadfly Nick Searcy (Justified), with the screenplay written by novelist and political commentator Andrew Klavan. McElhinney begins the book with a confession that she had “never trusted or liked pro-life activists”; she resented the “emotional manipulation” of their demonstrations – until she began researching the Gosnell story, a process so “brutal” that at times she wept and prayed at her computer, not only over Gosnell’s evil but over “the reality of abortion” even when it’s performed properly and legally. Writing the book changed her dramatically, and it’s not an overstatement to say that reading this book will have the same effect on many readers as well. Dr. Kermit Gosnell might still be butchering babies today if it weren’t for the dedication of a Philadelphia narcotics investigator named Jim Wood who followed up a lead about Gosnell’s lucrative illegal prescription scheme. The lead led to a raid on Gosnell’s Women’s Medical Society abortion clinic in February, 2010, where investigators discovered shockingly unsanitary conditions and incompetent, untrained assistants, as well as improperly medicated post-abortion patients sleeping or sitting together under bloodstained blankets, a few in need of hospitalization. The procedure room was even filthier. Fetal remains were found throughout, in empty water and milk jugs, cat food containers, and orange juice bottles with the necks cut off. One cupboard held five jars containing baby feet, which Gosnell apparently severed and kept for his own amusement. Shortly after the birth of my third daughter I took all three girls into a supermarket where a woman observed me wearing one child on my chest in a baby harness and pushing the other two around in a shopping cart. “Wow, Dad doing the shopping and the babysitting!” she marveled. Sigh. She was well-meaning but perhaps unaware that for many fathers, that kind of comment – which suggests that Dad is just a placeholder for Mom – is at least as frustrating as it is complimentary. Granted, this was an atypical outing for me and the girls. The vast majority of the time my wife is the one out shopping with our kids. Mothers from time immemorial have been the primary rearers of children partly by nature and partly as a consequence of a logical division of family labor. But thanks to a rise in the number of stay-at-home or work-from-home fathers such as myself, as well as a growing desire of men to do more hands-on parenting, more men are sharing childrearing tasks that once were perceived as solely the domain of women. Society hasn’t entirely caught up to this changing reality – hence, moments like the one I experienced above. 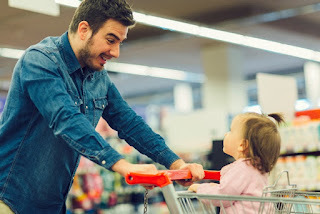 Part of the attitude I encountered in the supermarket stems from the lingering stereotype of emotionally reserved traditional dads of yore, who may have been responsible heads of the household out in the workforce but who were uncomfortable with, or averse to, the more domestic side of childrearing. In addition, pop culture has helped perpetuate the perception of dads as comically inept with children. Think of the movie Three Men and a Baby or Homer from The Simpsons. So it seems noteworthy when men demonstrate that they can be actual, capable, involved parents. This is not to say that dads like Homer Simpson don’t exist, of course, but fathers who are more fully engaged in parenting chores are now beginning to resent the misperception and to push back against it. My friend Jamie Glazov, editor of FrontPageMag.com and host of The Glazov Gang, offered me another "Mark Tapson Moment" for the show. I spoke again about the radical left's "War on Masculinity," focusing this time on the growing trend of college programs to eradicate "toxic masculinity." Please check it out below and take a look at Part I here. Remember to subscribe to The Glazov Gang's YouTube Channel and please donate through their Pay Pal account or GoFundMe campaign to help The Glazov Gang keep going. 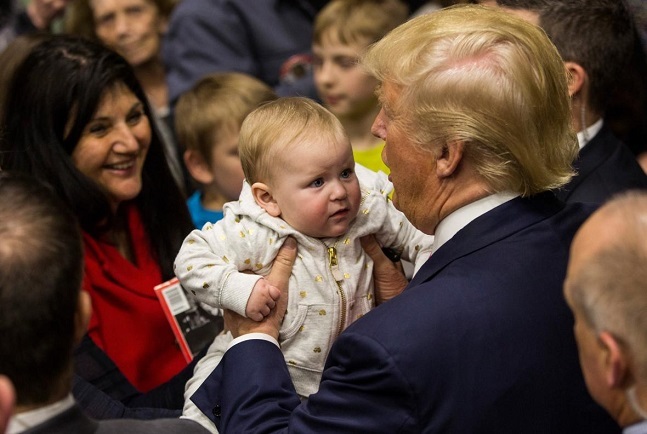 One of the most disturbing facets of the wave of hysteria sweeping half the nation in the wake of Donald Trump’s presidential election victory is the recent trend of feminist confessionals about their problematic feelings for their male children. As an aside, if your ideology is at odds with your biology, that’s a sure sign that your ideology is at odds with reality, and a life reevaluation is in order.